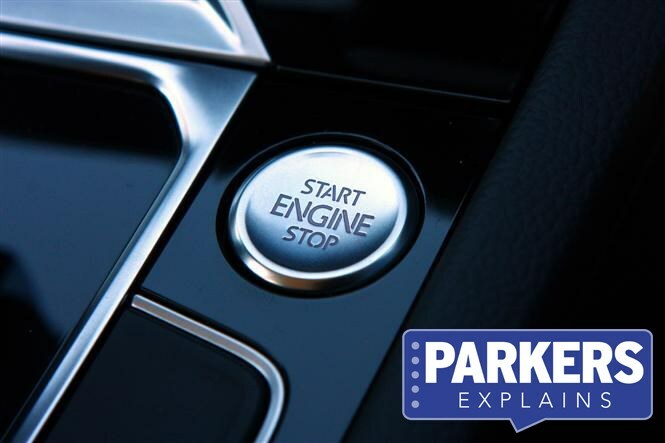 Keyless ignition – not to be confused with keyless entry – allows you to start your car without physically turning a key. The car detects the key inside the cabin and you push a button to start the engine. When you jump into the driver’s seat of cars with keyless ignition, you’ll often hear a noise coming from the dashboard or steering column – it’s the car detecting the key, activating the electrical system and releasing the steering lock. Then you’ll be able to start the engine at the push of a button. Normally one quick press (without your foot on any pedals) will switch just the ignition on - holding the button slightly longer while pressing either the clutch or brake pedal will start the car, depending on whether it’s fitted with a manual or automatic gearbox. To switch the car off again at the end of the journey you simply hit the same button and jump out. Not especially. Some cars come exclusively with keyless ignition, so you won’t be able to avoid it in these cases, while others make it available as an optional extra. It makes life a little more convenient if you like to just jump into your car and go, leaving your key either in your pocket or in a bag. Just don’t forget where you keep the key if you don’t need to physically use it every time you use your car. Where it’s available as an optional extra, the cost is rarely extortionate, but it's seen more as a luxury than an essential. Most Mazda, Jaguar, Land Rover, BMW and Volvo cars feature keyless ignition, while the majority of Renaults (bar the Twingo) come with it too. It’s an optional extra on many other cars, from the humble VW Golf to various Audi and Mercedes models.